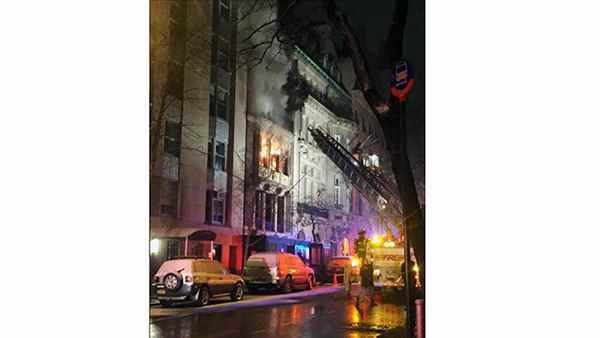 UPPER EAST SIDE, Manhattan (WABC) -- A three-alarm fire is burning through a townhouse under renovation on the Upper East Side. The fire was on East 84th Street. It burned through a five-story townhouse under renovation. No one was inside at the time of the fire and no injuries were reported. The eight-bedroom, 21 bathroom, 130-year-old townhouse was previously owned by lawyer David Rozenholc, who sold it for more than $27 million last year. East 84th Street between Fifth Avenue and Madison Avenue is closed to vehicular traffic.